DALEVILLE, Ind. 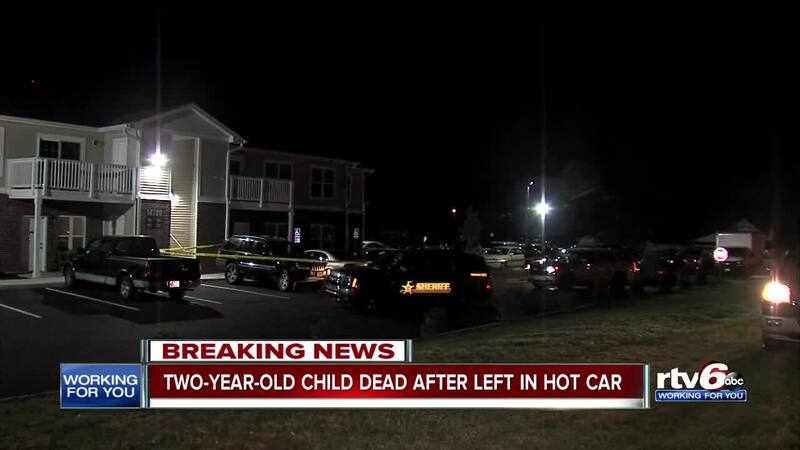 -- A Delaware County toddler died after being found left in a vehicle outside a Daleville apartment complex Wednesday evening. Police were called to the Salem Place Apartments just after 6:30 p.m. When they arrived they found 2-year-old Jaxon Stults unresponsive in a vehicle. 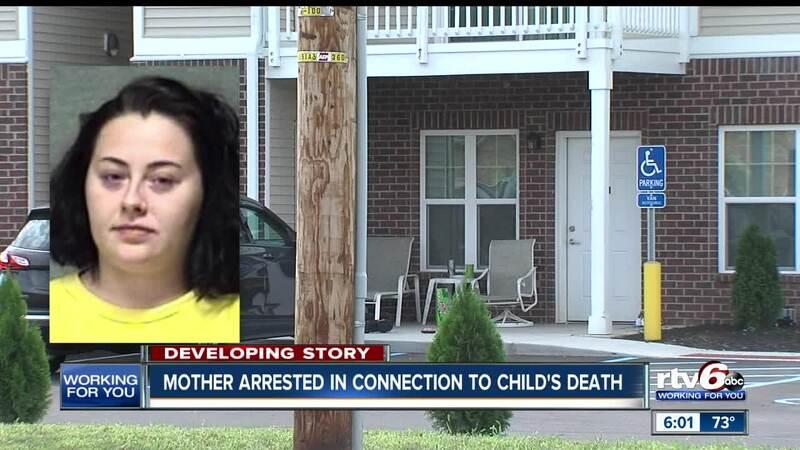 Police say the child was pronounced dead before arriving at the hospital. Autopsy results are pending, but Delaware County Coroner Scott Hahn said the boy's death is "most consistent with heat-relation," and there was no physical or visible trauma to the body. Stults' mother, Britni Nicole Wihebrink, was arrested on suspicion of neglect of a dependent. Wihebrink called 911 Wednesday night to report that her son was found unresponsive. She told a dispatcher that she and her son took a nap and she woke up and he was in the car. At the scene, Wihebrink told police she was off work Wednesday and started drinking around 11 a.m. She told police she had two wine coolers and three or four Jim Beam Honey shooters, according to a police report. Police investigators found seven empty Jim Beam 50 ml bottles in her house -- three in her purse and four in her bedroom drawer. Call 6 Investigates has learned that two young boys found the child in the vehicle while playing outside the apartment complex. The details surrounding the child's death are still under investigation and police have not said how long the child may have been inside the vehicle before emergency crews arrived. The high temperature in Muncie - which is about 11 miles from Daleville - Wednesday afternoon was 93 degrees. The toddler's death remains under investigation.